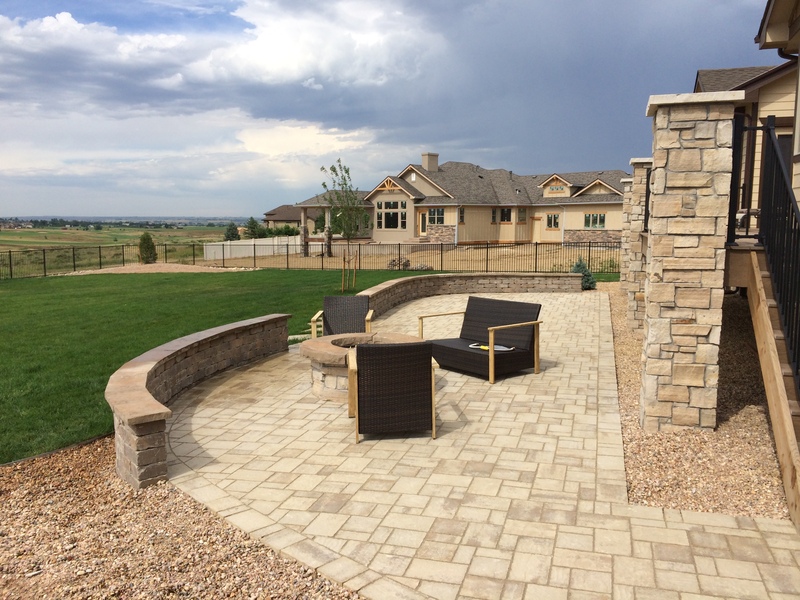 Stone Creek hardscapes & Designs has been Installing Beautiful Paver Patios in Denver CO for over 25 years! | Free Fire Pit On All Patios Over 500 Sq. Ft. | Great Prices! | Your 100 % Satisfaction is Guaranteed! | No Money Down or Deposits! | Excellent referrals from Satisfied customers | Free Estimates and consultations. | Pavers patios are durable and offer you limitless patterns and colors. 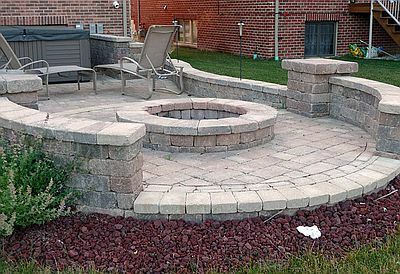 FREE FIRE PIT ON BRICK PAVER PATIO INSTALLATIONS IN DENVER CO! 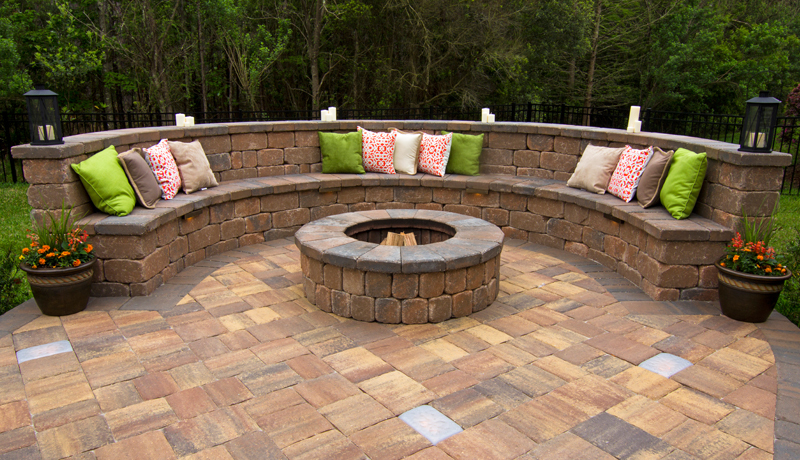 Stone Creek hardscapes & Design Will Install A Free Brand New Fire Pit On New Brick Paver Patio Installations 500 Sq. Ft. and over in 2018! Standard Size 4 FOOT Diameter Fire Pit! Offer Does Not Include Gas Line Hook up. 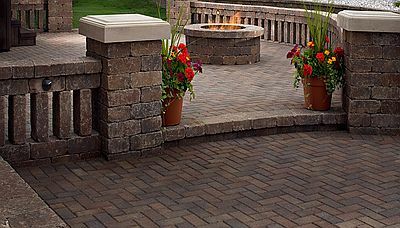 Your new paver patio will look good after many years of use!. They’re four times as strong as stamped concrete patios. Patio pavers are always installed on at least 6 inches of well compacted road base. There is an 8 inch deep footing all around the perimeter of the paver patio. There is one and a half inches of sand on top of the road base to set and level the pavers in. After we Install all the patio pavers we fill all the joints between the pavers with sand. The last step is applying a layer of polymeric sand applied to the surface of the pavers. This binds everything together. 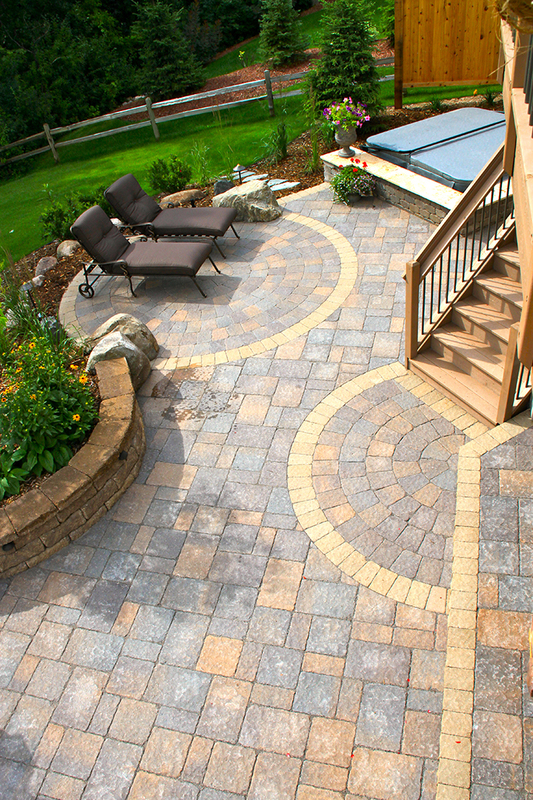 This entire process is one of the reasons pavers are called interlocking pavers. 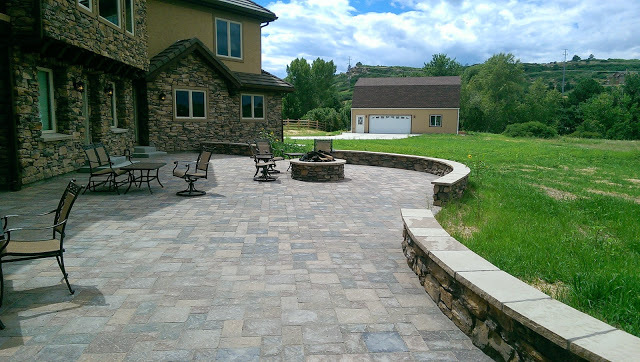 Pavers will easily stand up to our cold winters in Colorado. Brick Pavers never require sealing. Simple cleaning and pressure washing is all the maintenance pavers will need. Pavers can be made from many different materials but concrete is always the most popular. 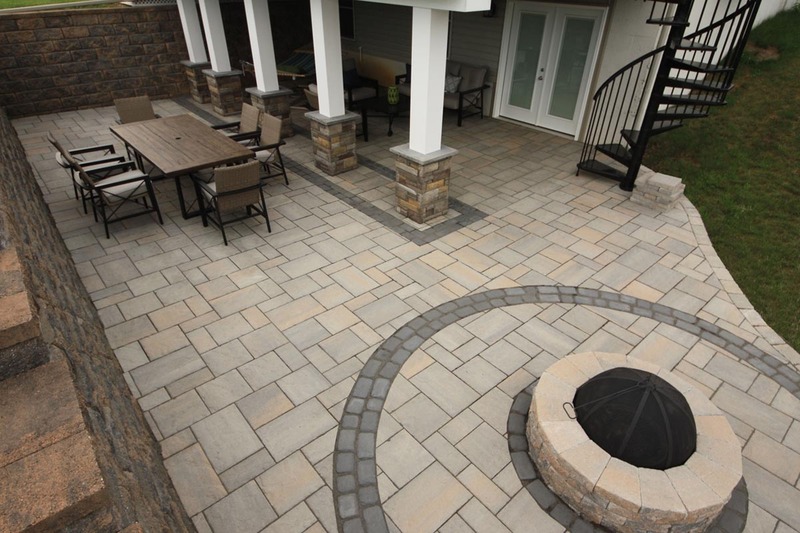 Pavers are made into interlocking patterns so that each paver doesn’t have to be custom fitted. 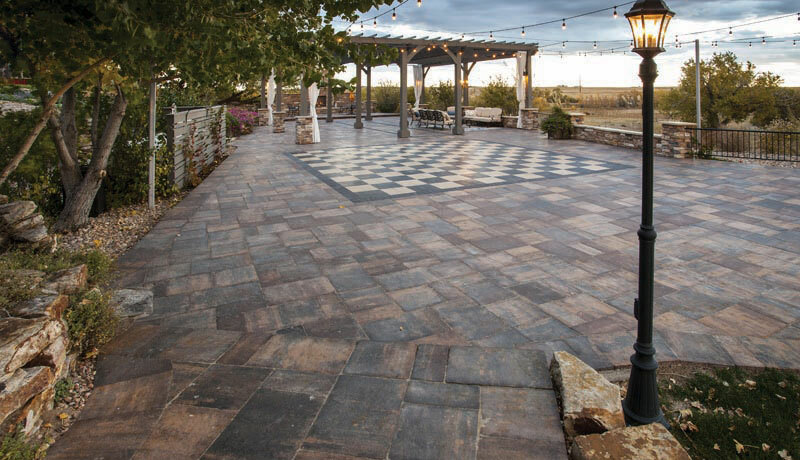 There is an endless variety of colors, textures and designs to create any patio you can imagine. 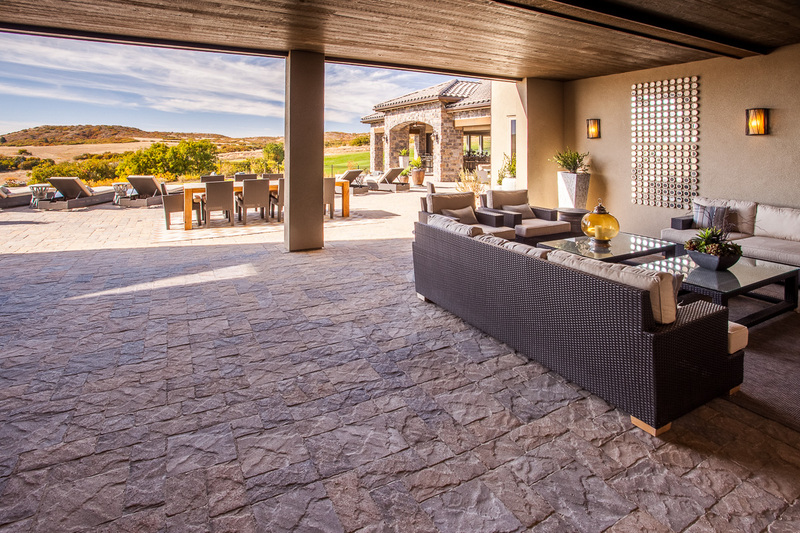 When compared to other patio surfaces, pavers are at the top of the durability scale. 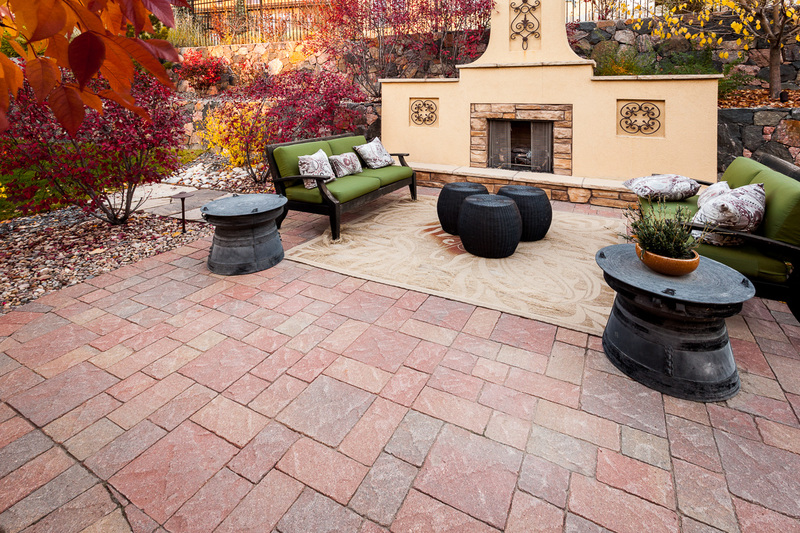 Pavers can easily stand up to the wear and tear of our Colorado weather extremes. They are also extremely slip resistant which is a good if you have a patio and a swimming pool. 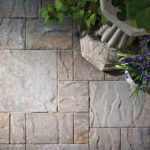 Paver patios give you the look and the strength of natural stone at a third of the price. 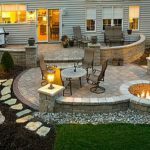 You have a huge variety of sizes, shapes, and colors from which to choose to build a patio area that complements the rest of your hardscape designs. 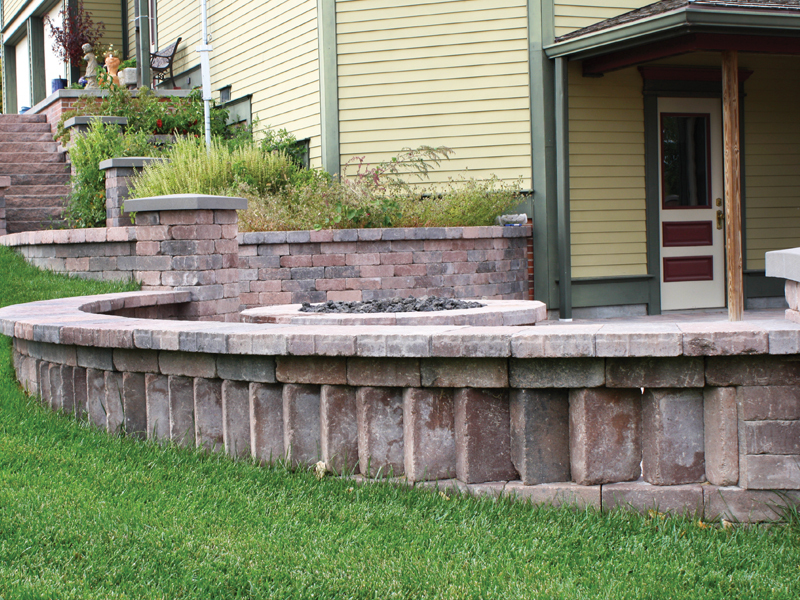 This can include seat walls, retaining walls and planters with the same material as the pavers. Paver patios don’t require sealing and maintenance like wood decks and stamped concrete. They never have to be sealed or stained to protect them from the weather. If a paver gets damaged, you can replace that paver without removing any other pavers near it. Adding sand to the paver joints every five years or so will be all the maintenance needed. 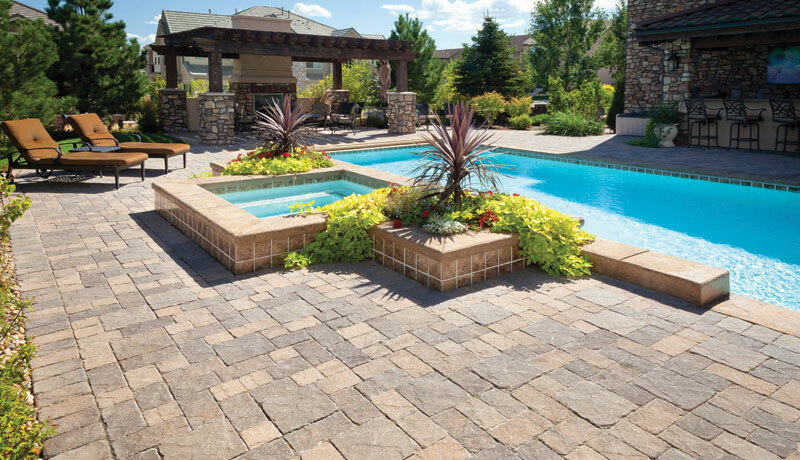 We proudly Install Borgert, Belgard, Pavestone and Aqua-bric pavers. These paver manufacturing companies offer you a large selection of pavers that are beautiful and durable. This allows us to offer you a wide selection of pavers, in many colors, shapes and finishes. 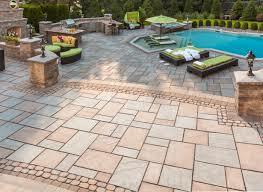 Most importantly younger our Great Prices on pavers, beautiful designs and guaranteed customer satisfaction. 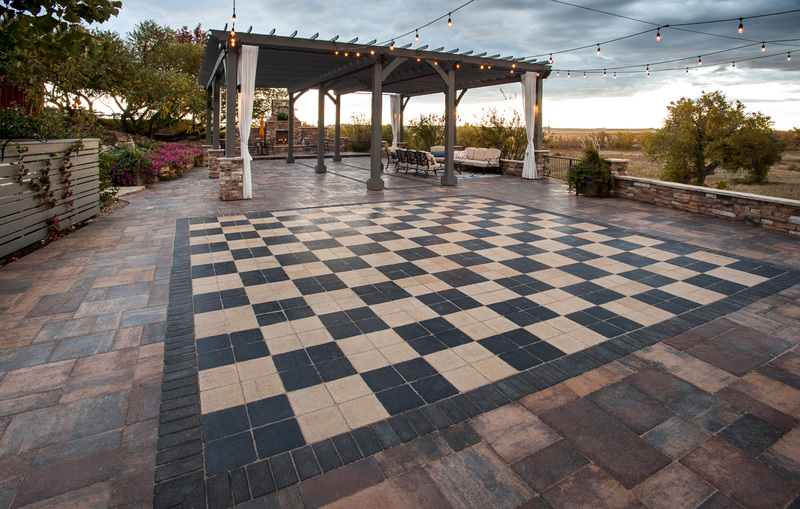 We’re proud of our professional paver patio installers, many of which have been with us for over 15 years. They’ve been trained to pay strict attention to the smallest details. You’ll be Impressed with the level of professionalism with Our expert paver driveway crews are ICPI Certified Paver Installers! YOU NEVER PAY US A DIME UNTIL YOUR PAVER PATIO IS COMPLETE AND YOU’RE 100% SATISFIED! 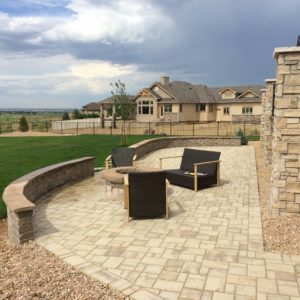 Fire-Pits, Outdoor-Fireplaces, seat walls, wall caps and retaining walls are inexpensive options that make paver patios the perfect outdoor living area for relaxing with friends or enjoying a cool evening in Denver. We’ll show you how to mix different colors and patterns of pavers to ensure your paver patio is beautiful. 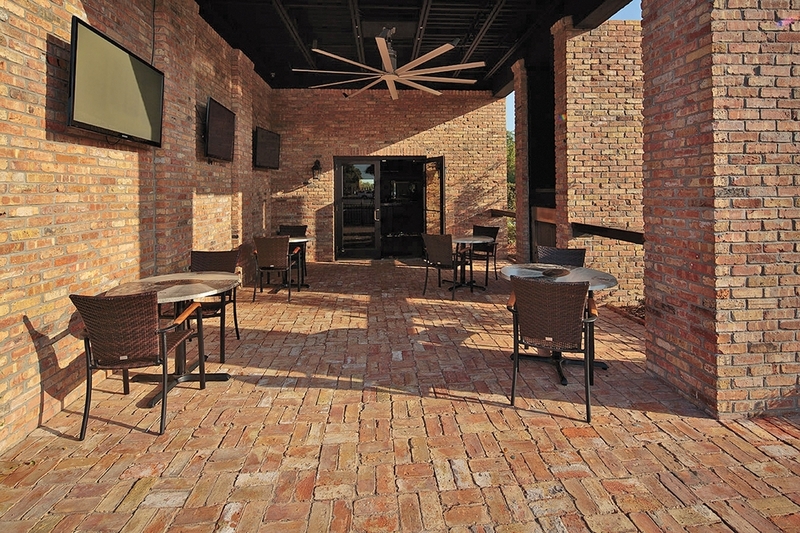 Make sure you look at our paver patio gallery on our website. You’ll get some really good ideas! Let us answer your questions about brick pavers. Let your imagination run wild. 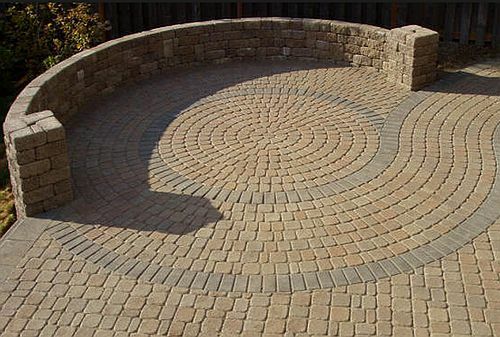 Our paver patio designers will work with you to bring all of your ideas to life. 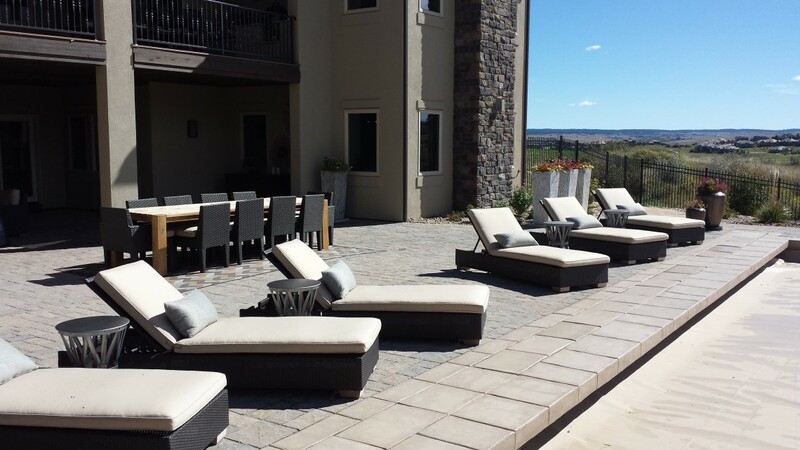 You’ll get a paver patio that will give you a beautiful place for entertaining and relaxing. Call Us today at 303.669.1801 For Your Free Estimate And Consultation. Environmentally Friendly: Pavers meet green construction and the EPA & NPDES requirements.